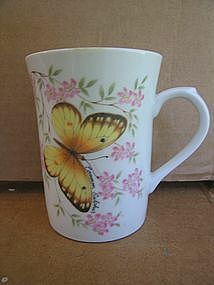 Vintage mug featuring the Common Sulphur Butterfly. It is a very nice quality porcelain and stamped Japan in black lettering. It holds 10 ounces and measures approximately 4 inches in height. There are no chips, cracks, breaks, rough rim or damage to the finish. I need your zip code to calculate the postage.